TNSR utilizes cutting edge open source technology like Vector Packet Processing and Data Plane Development Kit to generate more than two orders of magnitude faster processing power. From routing to NGFW, to advanced packet monitoring, inspection, and policy enforcement - easily insert new secure networking functions, all without expensive software upgrades or complex licensing schemas. 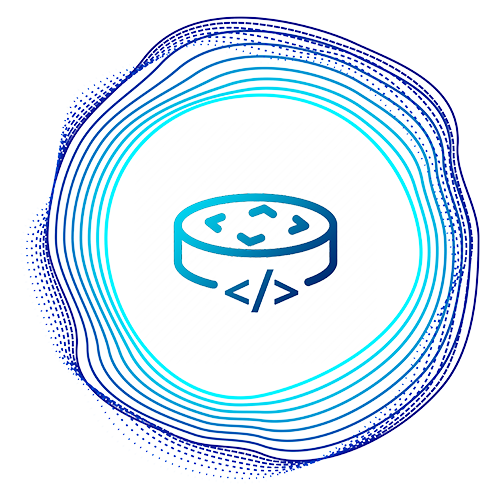 TNSR brings together several different open source projects, and each provides direct access to source code, allowing organizations to inspect and modify code, and not be confined by vendor restrictions. Configuration changes are fast and easy. A RESTFUL API tells VPP exactly what you want it to do to packet flows, and removes the need to manage the network on a box-by-box basis. TNSR processes packets in user space instead of the kernel. There is no need for proprietary hardware or ASIC's. TNSR can be deployed on generic silicon, slashing traditional networking costs. Every organization is in some state of transition to the cloud and virtualization. 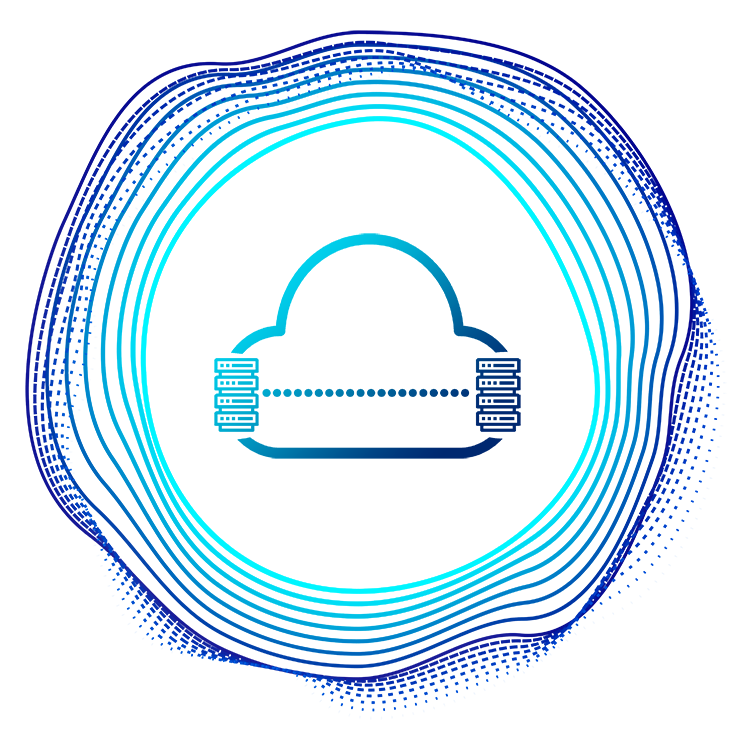 Whether your requirements are premises, cloud, hybrid, or native cloud, TNSR can be deployed as you need. TNSR crushes traditional secure routing economics - opening the door for widespread deployment of high-speed routing over IPSec. TNSR provides secure high-speed routing solutions at 1, 10, 40, 100 Gbps, and beyond - at a fraction of the price of alternatives. Zero Trust Networking is gaining in popularity - and it makes sense - Why assume actors, systems or services operating from within the security perimeter should be automatically trusted? You shouldn't. 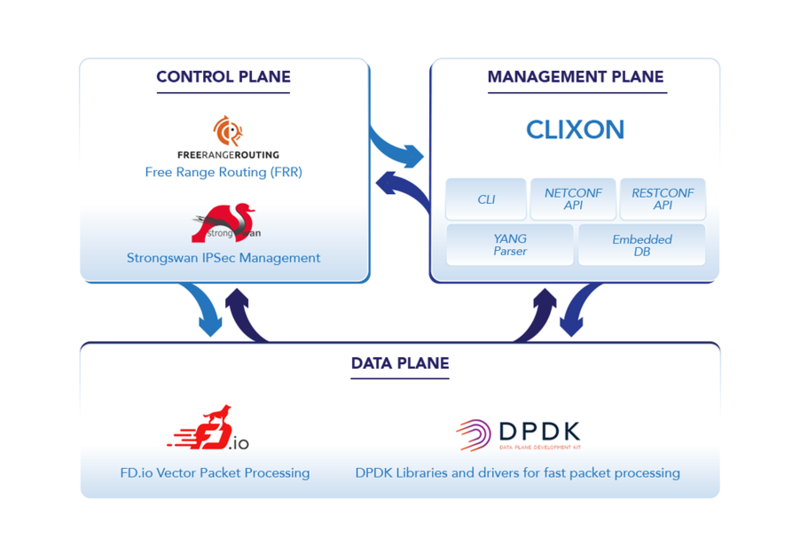 Fully integrating DPDK, VPP, CLIXON, strongSwan and Free Range Routing into a commercially viable offering. TNSR enables the functions of traditional network appliances to be performed in software on standard Commercial Off-the-Shelf hardware. The freedom you need. The value you crave. Need more speed? Encryption? More sessions? 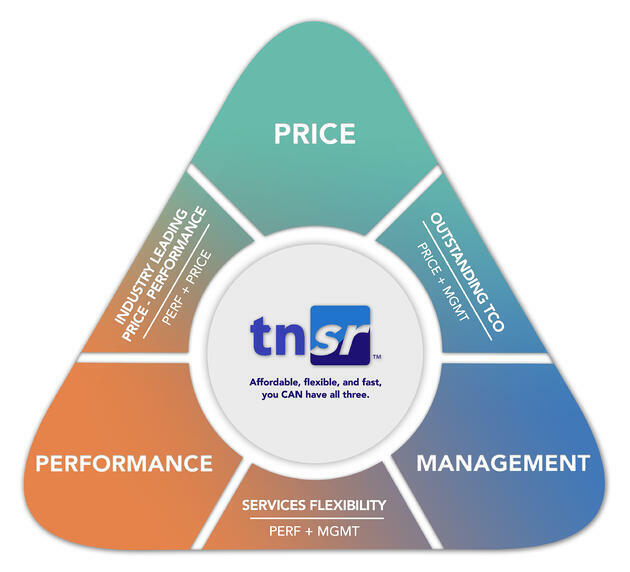 TNSR lets you easily and affordably scale performance as needs change. Organizations change. Business needs evolve. Whether you are transitioning to virtualization or migrating to the cloud, TNSR deploys as you need. Managing secure networking is complex, and organizations manage differently depending on their needs CLI? GUI? API-based orchestration across tens, hundreds or thousands of instances? TNSR gives you the option to manage as you need. Easily insert new secure networking functions without expensive software upgrades or complex licensing schemas. TNSR integrates an array of open source components into an enterprise-ready, scalable, easy to manage packet processing solution. VPP propels TNSR to speed gains of two orders of magnitude over traditional packet processing solutions. For a full explanation and deeper dive into Vector Packet Processing visit our VPP Simplified document here. Data Plane Development Kit boosts packet processing performance, allowing more time for data plane applications. DPDK can improve performance by up to ten times. Clixon is an easy to use toolkit with interactive CLI, NETCONF and RESTCONF interfaces. Based on a YANG-based configuration manager, Clixon is for devices requiring a config interface such as routers and switches. A RESTCONF API breaks down a transaction to create a series of small modules. Each module addresses a particular underlying part of the transaction. This modularity provides flexibility and takes advantage of HTTP methodologies defined by the RFC 2616 protocol. 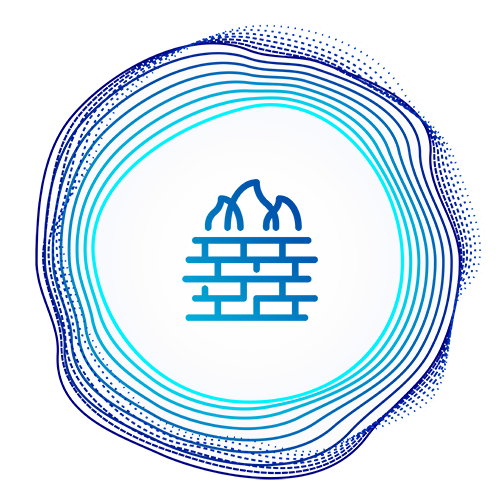 strongSwan is a complete IPSec solution providing encryption and authentication to servers and clients. It can be used to secure communications with remote networks, so that connecting remotely is the same as connecting locally. Free Range Routing (FRR) is an open source routing project, designed to provide a full routing stack that can run on top of a network OS. FRR’s seamless integration with the native Linux/Unix IP networking stacks makes it applicable to a wide variety of use cases including connecting hosts/VMs/containers to the network, advertising network services, LAN switching and routing, Internet access routers, and Internet peering. We are a quickly evolving Digital Agency from the New York focused on the web development and digital advertising. We offer entire solutions and full long-term technical support in these areas. We enjoy cooperating with ambitious startups and developing the kind of products users love. Stay tuned! Want to explore our pricing options? If you have found everything you were looking for and are ready to explore TNSR's pricing options visit our pricing page. There’s always something new with open-source, secure networking and TNSR. Keep up with us by visiting our blog, social communities and newsletter. Get a view into how open source is disrupting secure networking and changing the technology landscape. Discover the latest announcements, product information, and industry news with our monthly newsletter.